Having a euphoric sense of political victory after a successful rally at Minar-e-Pakistan, elated Pakistan Tehreek-e-Insaf (PTI) chief Imran Khan on Monday asserted purpose of the rally was to slash the perception that masses were unhappy with courts’ verdict and to lay out 11-point agenda before the nation. Khan termed upcoming general polls 2018 a two-horse race in Punjab. 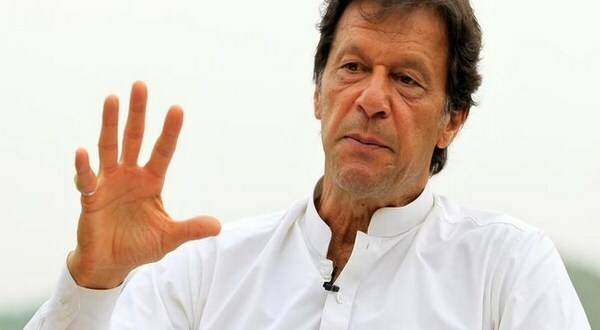 “Political battle in Punjab will be fought by PTI and Pakistan Muslim League Nawaz (PML-N)”, claimed Khan while giving interview to British Broadcasting Corporation. “Several politicians want to join ranks of PTI. Some of them are disreputable while others enjoy positive word-of-mouth. PTI has metamorphosised into a big political party”, stated Khan while adding, “Masses in stronghold of PML-N are happy because a powerful personality has been held accountable for the first time (in country’s history)”.